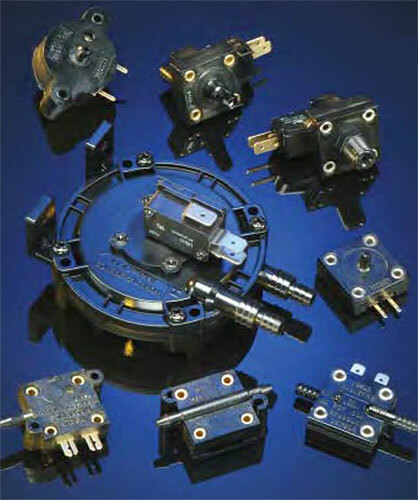 Our switches are miniature in size, lightweight and low in cost relative to competitive pressure sensors that are used to accomplish the same purpose. At rated load, you can expect a fast, repeatable response for millions of cycles! In total support of your custom requirements, we have modern, in-house manufacturing facilities that include: die-casting, stamping, injection and compression molding, machining and assembly. We manufacture our own tooling, dies, molds and fixtures, so turn-around on your custom design is fast! Much of our success is the result of our total commitment to our customers. We maintain the highest standards of service excellence and we constantly strive to find new and better ways to lower your cost, improve your productivity and shorten your lead time. For personal application assistance, please call World Magnetics.